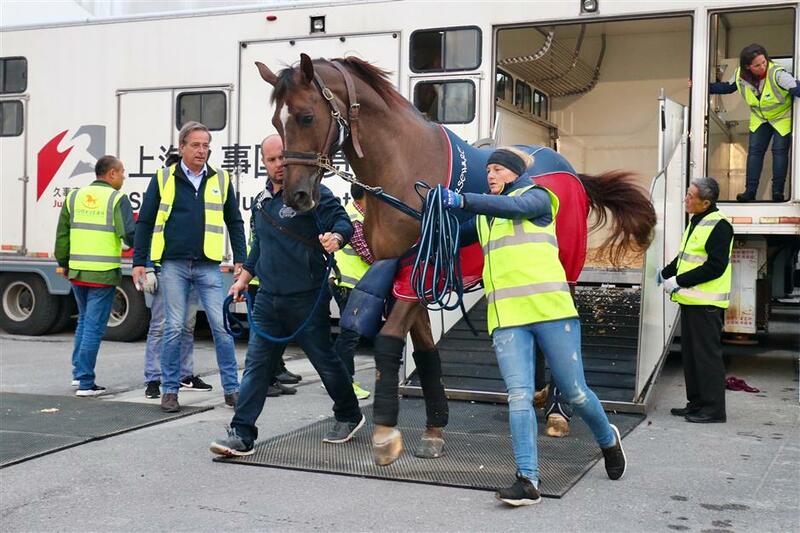 The Shanghai leg of the five-star show jumping event will be held from April 20 to April 22 at the makeshift venue in front of the China Art Museum in Pudong. 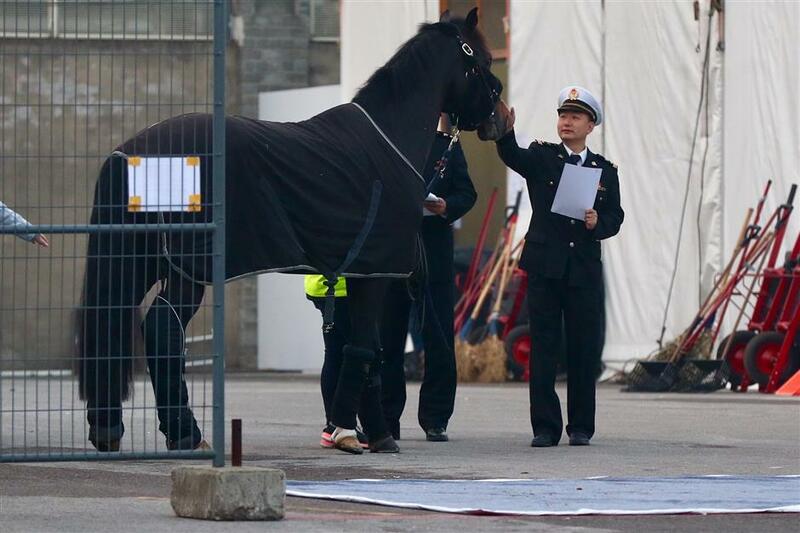 Officers check a horse at the China Art Museum early Sunday morning. 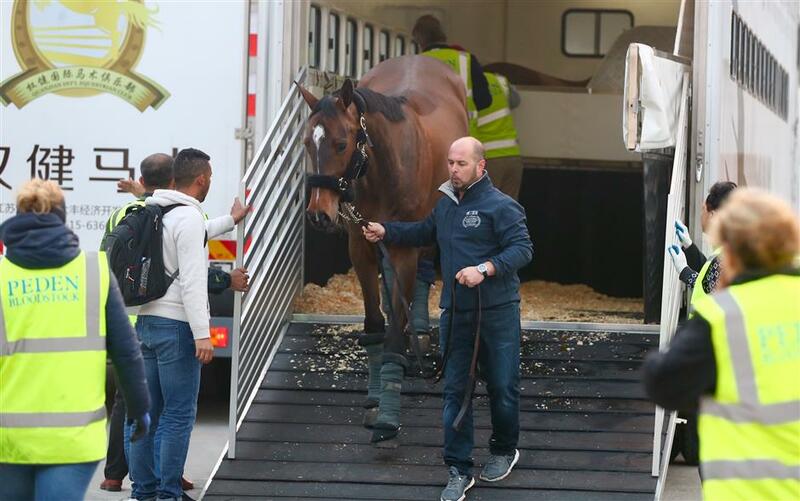 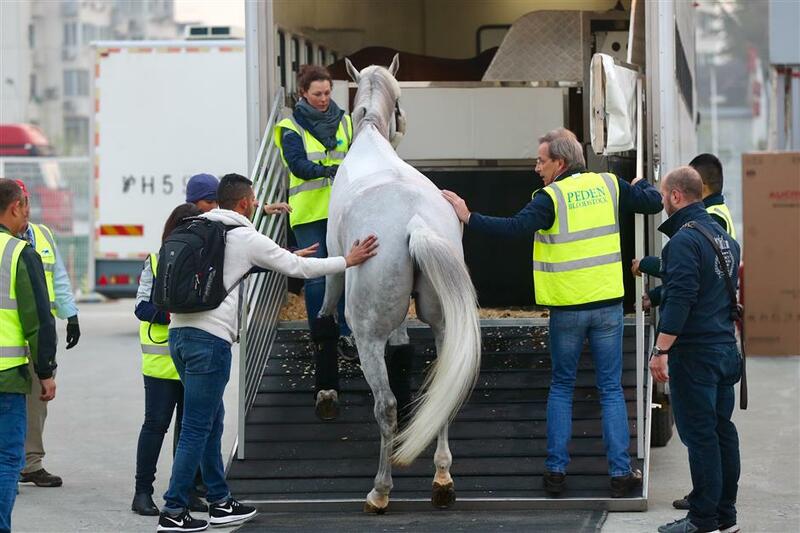 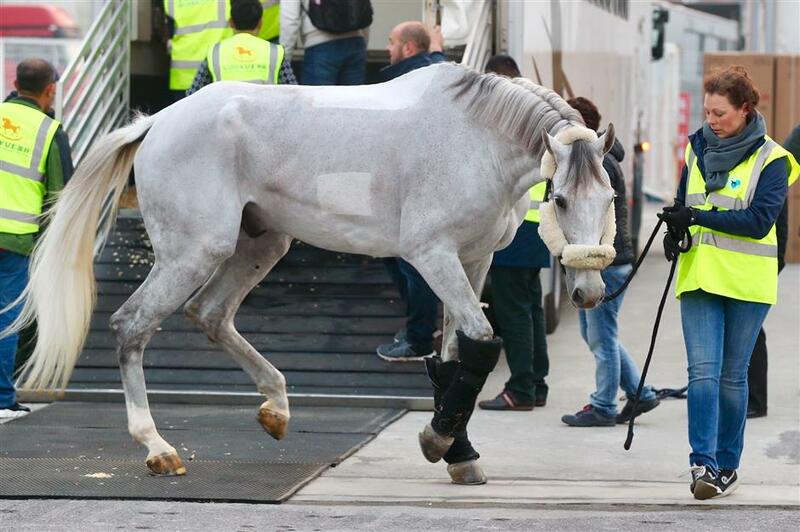 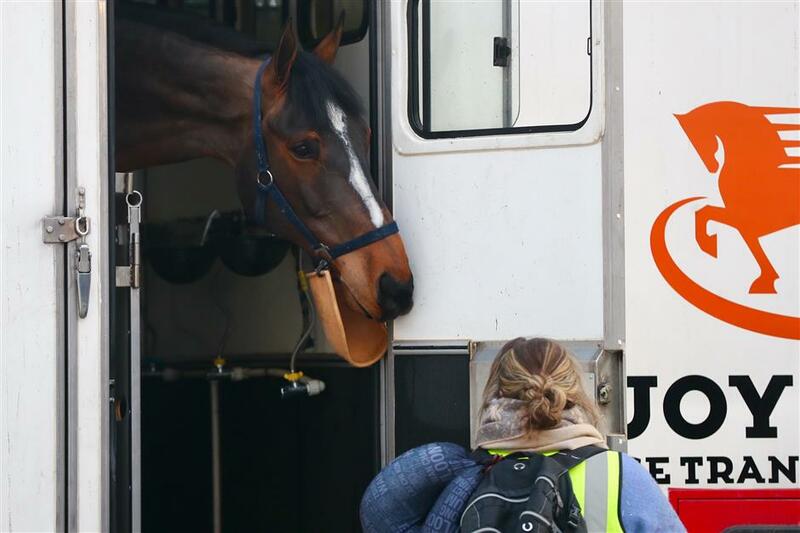 It is one of the first batch of 45 horses to have arrived in Shanghai for the 2018 Shanghai Longines Global Champions Tour. 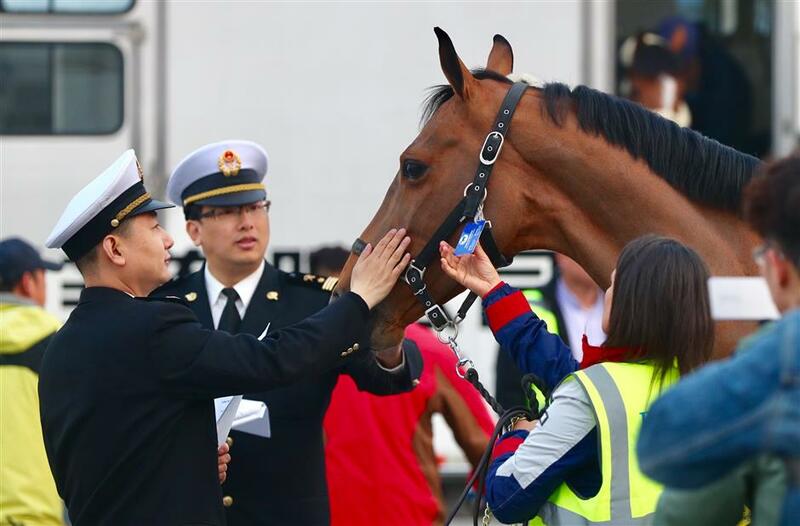 The Shanghai leg of the five-star show jumping event will be held from April 20 to April 22 at the makeshift venue in front of China Art Museum in Pudong.